(SEOUL=Yonhap News) The Ministry of Science and ICT announced on January 31 that it will invite applicants for "broadcast program production" and "next-generation UHD contents production" support programs starting from February 1. To support production of joint international programs and public-interest programs, KRW 13.7 billion will be provided this year. Also, KRW 5 billion will be put into to support UHD contents production with the aim of revitalizing UHD broadcasting. Applications for two programs shall be submitted via www.gosims.go.kr by March 4. 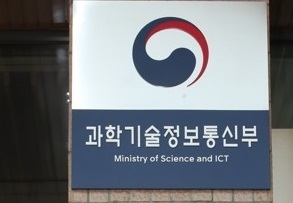 The Ministry will hold a seminar for details of the programs at Nuridream Square, Sangam-dong, Seoul on February 11. Meanwhile, the Ministry decided to revise "guideline for broadcasting contents production support" to improve the production environment. Also, a "performance management system of production support programs" and "an integrated portal for broadcasting contents" will be established until 2022 to efficiently manage and promote production support programs.